The European classic car season kicks off when nearly 150,000 fans, collectors and restorers gather in Essen for the annual Techno Classica. It's only fitting that Audi choose this event to celebrate 30 years of quattro and present the quattro success story. Full press release and a special video after the jump. Four rings, seven letters, 30 years: Audi is presenting its quattro success story at the 22nd Techno Classica in Essen. 30 years ago, the “Ur-quattro” (original quattro) launched a legend which signalled the start of Audi’s winning streak in motorsport and on ordinary roads that continues to this very day. Over 3.3 million cars with permanent four-wheel drive have left the Audi production lines since 1980. Today, every third new Audi is fitted with quattro drive. Every year, around 150,000 fans, collectors and restorers make their way to the international classic car show in Essen at the start of the classic car season. This year Audi has dedicated itself entirely to its quattro history and is presenting four contemporary witnesses of a legendary era in Hall 7: the “Ur-quattro”, V8 quattro, S2 Coupé and RS2 Avant. In addition, fans can purchase the traditional miniature car once again this year, and the Audi Club International (ACI) is showing further sporty originals from Audi’s history. The miniature – the Audi Tradition model of the year – is a 1:43-scale Audi V8 quattro DTM from 1990, limited to 333 units and in the colour orange. The original model is, of course, also on display: 20 years ago Audi had its first outing in the German Touring Car Masters (DTM) with the Audi V8 quattro. The spectators initially thought this car was anything other than sporty. But the “chauffeur saloon” fought through brilliantly against the tough competition: In the last race of the 1990 season, Hans-Joachim Stuck clinched the DTM championship title for Audi at the Hockenheimring. 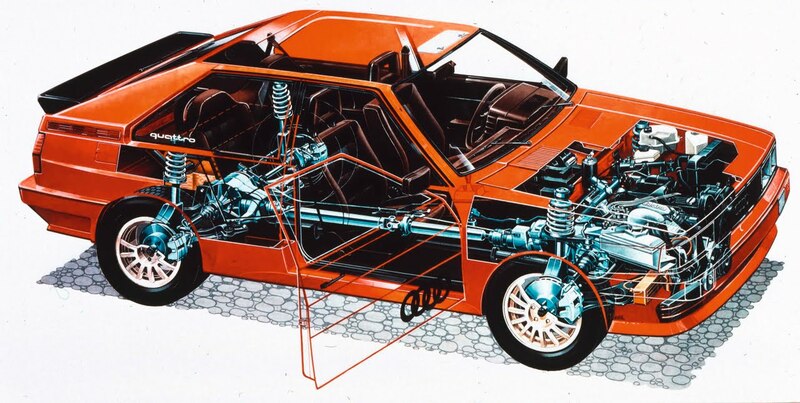 The “Ur-quattro” is of course a must at such an event: At the Geneva Motor Show in March 1980, Audi astonished the automotive world by presenting a four-wheel-drive coupé, the Audi quattro, which would go on to write a whole new chapter in motoring history. The idea of a sports car with four-wheel drive had come into being in early 1977 during winter testing in Finland. Here, the Iltis, an off-road vehicle with four-wheel drive developed by Audi, demonstrated surprisingly impressive handling characteristics in ice and snow. 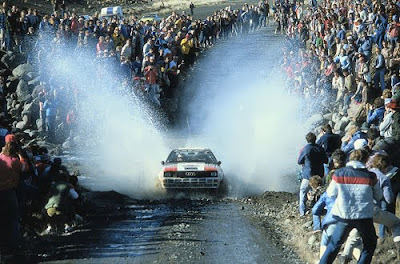 The Audi quattro with its outstanding traction achieved completely new dimensions in handling stability, as demonstrated in spectacular fashion by its international rally successes from 1981 onwards. Its successor was the Audi S2 Coupé, which is also on show in Essen. This car is powered by the same 2.2-litre 20-valve five-cylinder turbocharged engine which had given the final version of the “Ur-quattro” and the Audi 200 quattro 20V their dynamic thrust. The fourth car on the Audi stand is an Audi RS2 Avant which was built from 1993 to 1995 and was the first model in the famous Audi RS series. This Avant, which transferred 315 bhp to the road, combined everyday suitability and sports performance like no other model before it. And, last but not least, the Audi Club International (ACI) is presenting around 20 sporty exhibits from the four ACI divisions Auto Union, NSU, Audi Classic and Audi Lifestyle. These include a motorsport version of the DKW F12, an NSU TT, an Audi quattro from 1980 and an Audi 200 quattro in rally trim. The ACI is the umbrella organisation for the Audi clubs and the clubs of the predecessor brands of the present-day AUDI AG.